Two Chicks On Books: Blog Tour- THIS SHATTERED WORLD by Meagan Spooner and Amie Kaufman and a Giveaway! 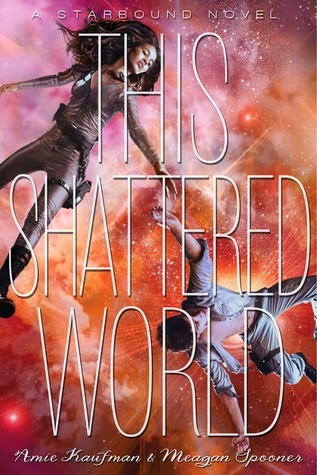 Blog Tour- THIS SHATTERED WORLD by Meagan Spooner and Amie Kaufman and a Giveaway! Hey y'all! I'm stoked to be taking part in the THIS SHATTERED WORLD Blog Tour! I have an exclusive quote on my stop today! Oh and stick around for the giveaway! Haven't heard of THIS SHATTERED WORLD Check it out! Now on to the quote! Artwork created by the talented Tiffany Fay. Visit the These Broken Stars website for the latest news on the series and follow the authors on Twitter at @AmieKaufman and@MeaganSpooner. 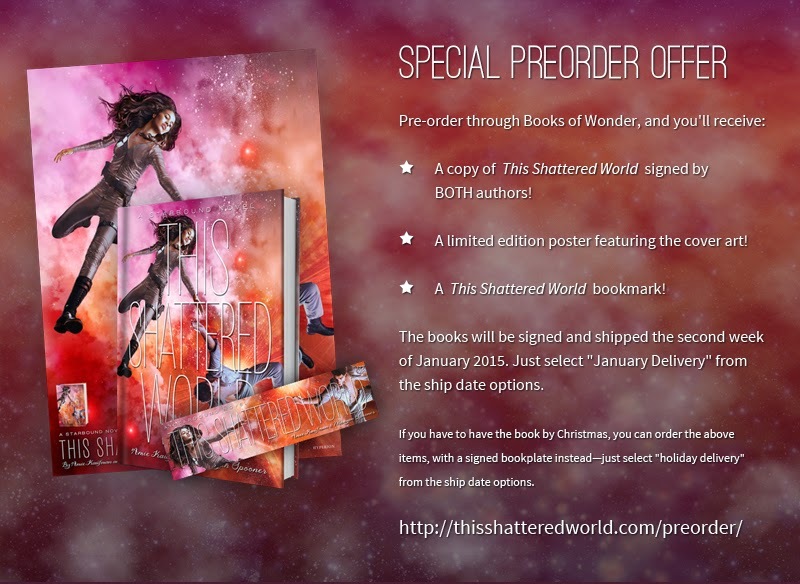 This Shattered World is available for pre-order (with fun swag!) and will be released in North America on December 23, 2014. -- a secret letter from Tarver to Lilac, which may be kept private by the recipient, or shared publicly on a blog, etc. -- coffee with the authors at one of their upcoming US tour stops in January, OR a Skype chat! Check out the Tour Schedule at The Midnight Garden for more cool posts! Also check out this cool pre-order offer!